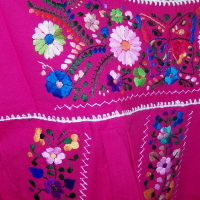 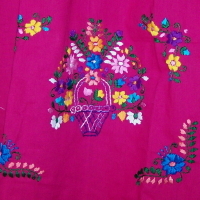 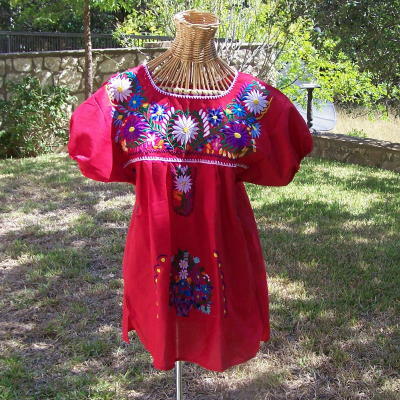 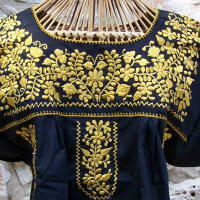 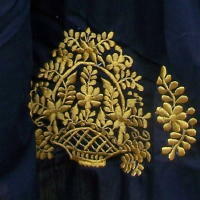 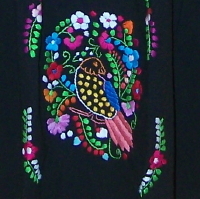 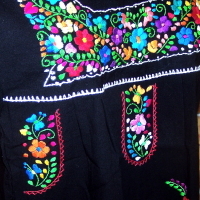 This is a traditional Mexican cotton-blend Poblano peasant blouse. 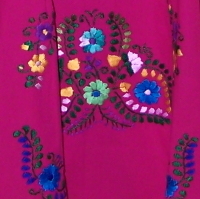 had the brightly-colored ones tested and they are blends. 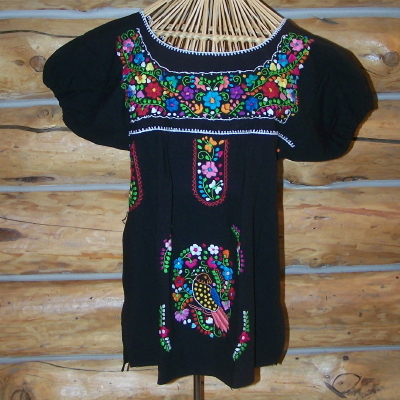 I think some of the dark ones are 100% cotton. 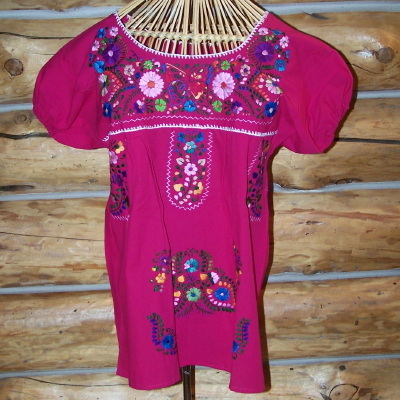 Your ideal blouse would put your bust 1/2 way in the bust range. 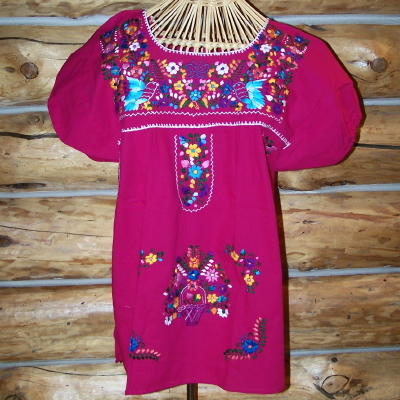 high end of the range). 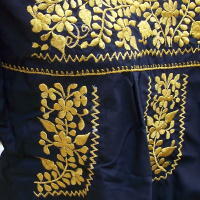 at this moment is 7070jj. 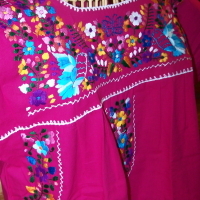 Yoke 20" Bust to 38"-42" Hips to 48"
Yoke 18" Bust to 38-42" Hips to 68"
Yoke 18" Bust to 38-42" Hips to 48"
Yoke 19 " Bust to 38-42" Hips to 46"